I interviewed Noam Chomsky in October 2011, but it was not published for two months, because none of the newspapers, magazines and journals who usually print my work wanted to run it. This was despite the fact that several of them were initially very enthusiastic – at least, that is, until they saw it. In the end, having been rejected by all the major publications of the Western left, it was published by Al-Ahram Weekly, an Egyptian newspaper. It was controversial because Chomsky is such a popular figure amongst the British and American left, and my article was critical of Chomsky’s position on Libya. One person even refused to believe that the interview was real, and accused me of having made the whole thing up! Some saw it as sectarian, dividing the anti-war movement by unnecessarily criticising one of its leading voices. But as a supporter of the war against Libya, at least in its initial phase, Chomsky could hardly be considered part of the anti-war movement at that moment. It seems pretty obvious to me that the real sectarians in the anti-imperialist and anti-war movements are those who support wars against anti-imperialist states, not those who criticize former anti-war activists for switching sides. Ironically, although many people expressed the sentiment that I was wrong to criticize Chomsky, he himself told me afterwards that he actually prefers ‘confrontational’ interviews like the one with me (although he said he was not used to having them from this side). One criticism I took more seriously was that as a British citizen, my focus should be on exposing the devious role of British power in the world – not pointing fingers across the Atlantic as if British imperialism no longer exists, as so many in the British left are wont to do. I agree with that. But nevertheless, I do believe that, as a hero to so many in the British left, Chomsky’s positions helped also to facilitate elements of British public opinion behind a British war. Challenging his argument, I felt, was therefore an essential part of the process of challenging British imperialism as well. Chomsky’s position on the war was that the initial ‘intervention’ was justified, but that it then morphed into something different ( which he termed a ‘second intervention’), which he did not support. This position still makes no sense to me. To offer an analogy: imagine a notorious, mass murdering robber coming to your house, armed to the teeth, asking if he can come in to read the gas meter. Chomsky’s argument seems to be that you should let him in, but if he deviates from his invented task and – as is rather more likely – instead starts to rob and murder, we should at that point build a mass movement to pressure him to stop it. My argument – and that of others who opposed NATO’s intervention – was that the door should be kept firmly shut to these proven criminals. In fact, it was worse than this, because the initial intervention was not designed to check the gas meter but to destroy Libya’s air defence system (to create a ‘no-fly zone’). All those who supported this, therefore, helped to pave the way for what Chomsky calls the ‘second intervention’ that they opposed, by supporting the destruction of all possible defences against this ‘second intervention’. Further, by calling for the first intervention, they were also helping to build ideological support for the second. This was not the first time that Chomsky had supported Western aggression against the third world. In the run up to the Iraq war in 1991, he was asked in an interview what he thought should be done against Iraq, given that he did not support bombing. His reply was: economic sanctions. In the event, both bombing and economic sanctions were imposed, with the latter being far more deadly, killing an estimated 1.5million people, including 500,000 children, and causing the resignation of 3 high ranking UN officials involved, who argued that the sanctions constituted a form of genocide. Once they were underway, Chomsky campaigned against these sanctions. But it is instructive to note that, just as with the case of Libya, at the crucial moment when public opinion was being prepared, he was calling for the very thing he later came to oppose. This illustrates something interesting about Chomsky and other ‘radical liberals’ promoted in the mainstream media (albeit at the margins), that I had not fully comprehended before: they are tolerated precisely because their criticism is only vocal at moments when it is likely to be ineffective. The crucial moment in the war against Libya was during the run-up. This was the moment when everything was in the balance and criticism might have had some effect. Once it was underway, it would be much more difficult to stop it. Once it was underway, therefore, criticism was tolerated, because it was too late. This helps explain why people like Chomsky are able to hold impressive positions at prestigious American universities, and their views are even promoted, to an extent, through occasional interviews on mainstream TV channels. It is important for imperialism to allow, and even encourage, a certain level of criticism and dissent, because this allows it to pose as a respecter of pluralism and civil liberties. By tolerating those who criticize imperialist policies, but only at moments when that criticism is impotent, imperialism gets the best of both worlds. main problem facing the world’s peoples, but a secondary problem. During the Cold War, when support for anti-communist strongmen was the West’s preferred method of maintaining global control (Suharto, Pinochet, Mobutu et al), this difference might almost have seemed academic. Radical liberals and anti-imperialists were largely on the same side, united in opposition to this ‘unholy alliance’. However, in the current climate – when it is not the propping up of strongmen, but the destruction of all independent third world states, which is the imperial order of the day – the difference is critical. For Chomsky, Western aggression against ‘dictators’ (a catch-all term covering any leader with significant authority in a strong, sovereign state) is to be supported – within certain legal limits of course, and always ‘held to account’. This also explains Chomsky’s bizarre method of ‘opposing’ the war, when he eventually decided to do so. Rather than highlight those things about Gaddafi that the West objected to, such as his support for African unity and development, opposition to Western military involvement in Africa, ‘resource nationalism’ etc – and thus exposing the real reasons for the war – he tried to paint a picture of Gaddafi as being somehow ‘in bed with the West’. Presumably, in his mind, this would expose the warmongers, because it would show that they were as bad as Gaddafi. In reality, this approach merely served to confuse, demoralize, and ultimately weaken the anti-war movement, by obscuring the fundamental tension between the imperialist and anti-imperialist agendas that was the real driving force behind the conflict. At the end of the day, of course, Chomsky is who he is: a radical liberal who believes imperialism can and should be reformed and ‘held to account’ rather than ended. We should not expect him to be anything else. Genuine anti-imperialists need to develop their own analysis of events, and ultimately their own political movement and leadership, and not rely on the ‘respectable’ opposition offered to us by the ruling class. This is the fundamental lesson I learnt from interviewing Noam Chomsky. The commentator was Marx’s lifelong collaborator Friedrich Engels. The accuracy of his prediction – right down to the numbers killed and the length of the war, not to mention the revolutions and collapse of empires that would result – is truly remarkable. Yet Engels had no crystal ball. What he foresaw was nothing more than the logical outcome of the workings of the global capitalist-imperialist system, which constantly and inexorably pushes towards world war. The logic is basically this. Capitalism, with its combination of rapid technological progress plus derisory wage payments – both tendencies a ‘natural’ result of competition – leads to a situation where markets cannot be found for its goods. This is because capital’s capacity to produce constantly outstrips the capacity of consumers to consume, as these consumers are, in the main, the very workers whose wages are driven down, or who are made redundant altogether, by improved technology. Ultimately, this results in a crisis of overproduction, with markets glutted, and workers thrown out of work in their millions. Already in 1848, four decades before his prediction of world war, Engels (and Marx) had written that such crises tended to be “resolved” through “the enforced destruction of a mass of productive forces” – in other words, the wholesale closure of industry. Through closures of the most inefficient industries, surplus production would eventually be reduced, and profitability restored. But in so doing, capitalists were effectively increasing the concentration of capital in the hands of the most ‘efficient’ industries, whose productive capacity in the future would render the underlying contradiction yet more insoluble still, and were thereby “paving the way for more extensive and more destructive crises, and diminishing the means whereby crises are avoided”. For Engels, the crisis underway by the 1880s was so extensive that the destruction of capital required to overcome it would take more than mere closures – it would take all-out war. The destruction of capital, however, is not the only means by which to overcome overproduction crises. The other option, said Marx and Engels, is “the conquest of new markets or the more thorough exploitation of old ones”. The period of the late-nineteenth century saw a renewed ‘Scramble for Africa’ as each imperial power sought to grab territories which might one day serve as both sources of raw materials and markets for surplus capital. In North America, the USA was completing its own colonisation of the West and South in imperial wars against the Native Americans and Mexico. By the close of the century, however, all the ‘available’ territories had been conquered. From then on in, argued Lenin, the capture of new colonies could only be at the expense of another colonial power – ushering in a new, imperial, phase of capitalism with an inbuilt drive towards world war. We have now witnessed two episodes of this cycle of capitalist crisis mutating into world war, the second much more successful in terms of the destruction of capital than the first. Indeed it was so successful that it paved the way for a ‘Golden Era’ of capitalist prosperity lasting almost three decades. But then, once again, the inevitable crisis tendencies began to set in. The colonial, imperialist nature of postwar capitalism has, to some extent, been disguised by the formal political independence of most of the formerly colonised world. With an unambiguous and unrivalled lead in technological capacity, the Western nations have not required direct colonisation in order to guarantee essentially ‘captive’ markets for their goods and capital. The former colonies have largely been dependent on products, finance and technology from the imperial world without the need for formal political control – and this dependence has been backed up with economic blackmail through international financial institutions such as the IMF and World Bank where possible, and direct military force against resistant nations where necessary. Such dependence, however, has been decisively eroded since the beginning of the new millenium. The rise of China, in particular, has completely destroyed the West’s monopoly on finance and market access for the global South: African, Asian and Latin American countries no longer have to rely on US markets for their goods or on World Bank loans for their infrastructure development. China is now an alternative provider of all these, and generally on far superior terms of trade than those offered by the West. In times of continued economic stagnation, however, this loss of their (neo)colonies is entirely unacceptable to the Western capitalist nations, and threatens the entire carefully crafted system of global extortion on which their own prosperity is based. 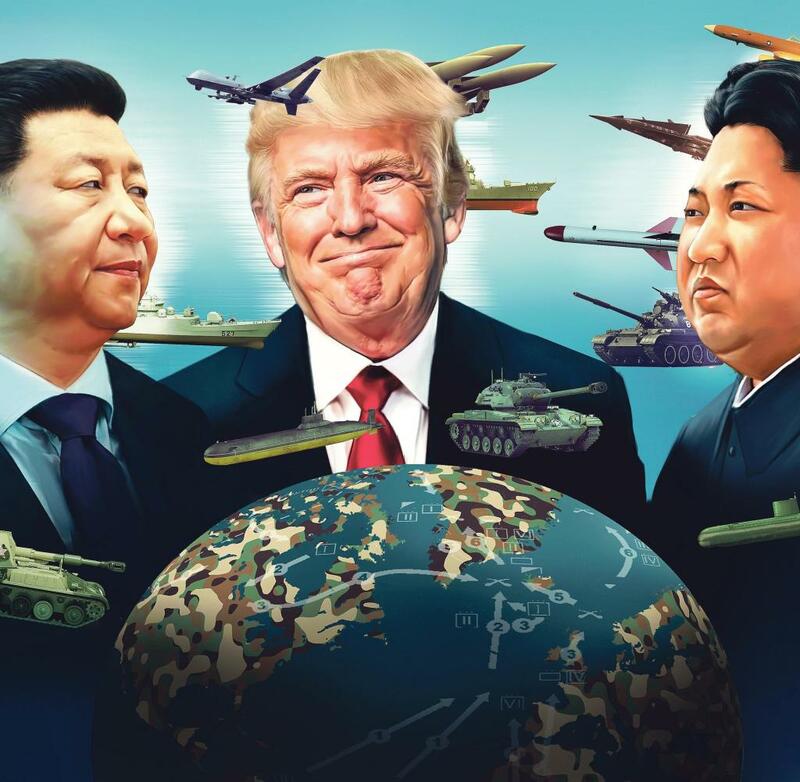 Increasingly unable to rely on economic coercion alone to keep countries within its ‘sphere of influence’, then, the West have been turning more and more to military force. Indeed, the US, UK and France have been permanently at war since the eve of the new millennium – starting with Yugoslavia, through Afghanistan, Iraq, Libya, Mali, Syria and Yemen (to say nothing of proxy wars such as that in the Congo, or the ‘drone wars’ waged in Pakistan, Somalia and elsewhere). In each case, the aim has been the same – to create, as far as possible, conditions of total state collapse. For the creation of ‘failed states’ serves not only to thwart any genuinely independent development, but also to restrict the flow of resources to China (by disrupting nationally-controlled production and facilitating western-run private piracy), create new markets in private security, and provide liquidity for the western banking system through facilitating major criminal enterprises (such as growing heroin, recruiting private sectarian armies to use against other states, and people smuggling). And ultimately, state collapse is deemed a necessary imposition when even the CIA-favoured anti-communist strongmen of the past can no longer be relied on to snub China in favour of the West; indeed, it is entirely indicative of this new era of decreasing western economic power that several of these wars were waged against states whose leaders were once in the pocket of the US (Iraq and Afghanistan) or who they had hoped to buy off (Libya and Syria). Thus, where it was once, at least in part, the product of productive superiority, the continued supremacy of the West in international affairs is increasingly reliant on military force alone. And even this military superiority is diminishing daily. Predictions of the length of time left before the Chinese economy overtakes the US economy continue to shrink. In 2016, China’s share of the world economy had grown to 15%, compared to the USA’s 25%. But with a growth rate currently three times that of the USA, the difference is expected to decline rapidly; at this rate, the Chinese economy is on course to overtake that of the US by 2026. In fact, once adjustments are made for purchasing power parity and differential prices, the Chinese economy is already larger. Furthermore, Chinese manufacturing output has been higher than that of the US for over a decade, and exports are one third higher, whilst China produces double the number of graduates annually than the US. Such developments, however, are not of economic significance only: for it is only a matter of time before economic superiority is converted into military superiority. And this gives the US and its hangers-on an ever-diminishing window of opportunity in which to actually USE their military superiority in order to preserve their deteriorating global power. Clearly the strategy hitherto has been to avoid direct war with China and its key ally Russia, and instead to focus on ‘taking out’ its real or potential allies amongst states less able to defend themselves. But Russia’s role as a spoiler in the regime change operation in Syria has demonstrated to the US that this may no longer be possible. 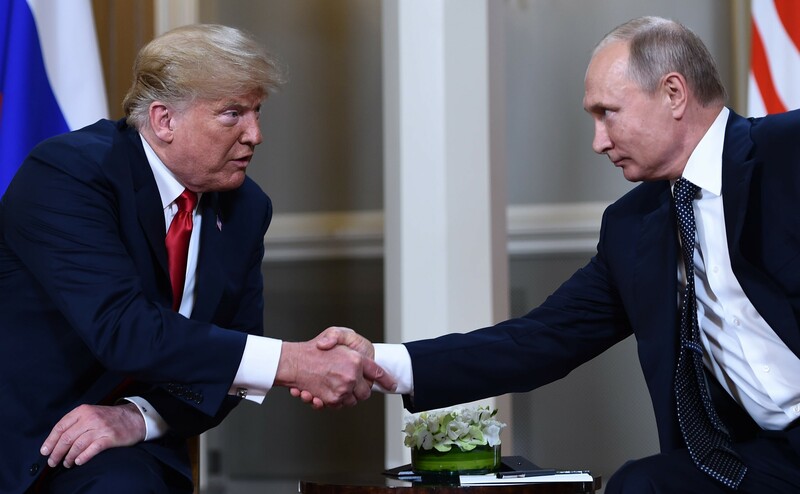 This has led to a split within the US ruling class on the issue of how to deal with Russia, with one side seeking to purchase Russian acquiescence to wars against Iran and China (advocated by the faction supporting Trump) and the other aiming to simply ‘regime change’ Russia itself (advocated by the Hillary faction). At the heart of both is the attempt to break the alliance between Russia and China, in the case of Hillary by pulling China away from Russia, and for Trump, pulling Russia away from China. The point is, however, that neither strategy is likely to work, as clearly the breaking of the China-Russia axis is aimed at weakening both of them. Furthermore, even if Putin were prepared to ditch Iran, or even China, for the right price (such as lifting sanctions, or recognising Russian sovereignty over Crimea), there is no way Congress would allow Trump to pay such a price. Trump would dearly love to offer to lift sanctions – but this is not within his gift; instead he can merely offer sops such as withdrawal from Syria, or pre-warning of missile attacks on Russia’s allies – hardly enough to lure Russia into the suicidal severing of alliances with its most important allies. This conundrum puts the unthinkable squarely on the agenda: direct war with Russia. The last month has shown clearly how, and how rapidly, this is developing. Britain’s carefully calibrated efforts to create a worldwide diplomatic break with Russia can now clearly be seen as a prelude to what was almost certainly planned to be – and may yet become – an all-out war with Iran on the Syrian battlefield. This scenario appears to have been averted for now by Russia’s refusal to countenance it, and the West’s fear of launching such an operation in the face of direct Russian threats, but such incidents are only likely to increase. It is only a matter of time before Russia will be put to the test. It is easy to see how the Syrian war could lead to a major escalation: indeed, it is difficult to see how it could not. In Washington, there is much talk of the need to ‘confront’ Iran in Syria, and recent Israeli attacks on Iranian positions in Syria indicate that they are itching to get this confrontation under way, with or without prior US approval. Once underway, however, an Iranian-Israeli conflict could very easily draw in Russia and the US. Russia could hardly be expected to stand back whilst Israel reversed all its hard fought gains of the past two and a half years – whilst demonstrating the feebleness of Russian ‘protection’ – and would likely retaliate, or at the very least (and more likely) provide its allies with the means to do so. Indeed, Putin reportedly warned Netanyahu last week that he can no longer expect to attack Syria with impunity. And once Israelis start getting killed by Russian hardware, it is hard to see how the US could not get involved. This is just one possible scenario for the kind of escalation that would lead to war with Russia. Economic war with China is already underway, and US warships are already readying themselves to cut off China’s supply lines in the South China Sea. Each specific provocation and escalation may or may not lead to a direct showdown with one or both of these powers. What is clear, however, is that this is the direction in which Western imperialism is clearly headed. It has built up its unparalleled armoury for one reason only – to protect its dominant world position. The time is soon coming when it will have to use it – and use it against a power that can actually fight back – whilst it still has a chance of winning.